It’s not everyday that you can say you get a call from a unicorn. When they do, it’s never the easy way…on the phone. Instead, it’s subtle and involves you listening carefully. It’s like that time just as you wake up when you try to keep your eyes closed to hold on to your dream…to remember that one important detail that you were going to take with you to your waking life. It involves work to listen to a unicorn. While out in the woods today, I found a fruit from a tree, which turned out to be bladdernut, also know as false unicorn root. Of course, that involved me taking the delicate fruit in my hand and hiking the mile back to my house to research, without crushing it first. 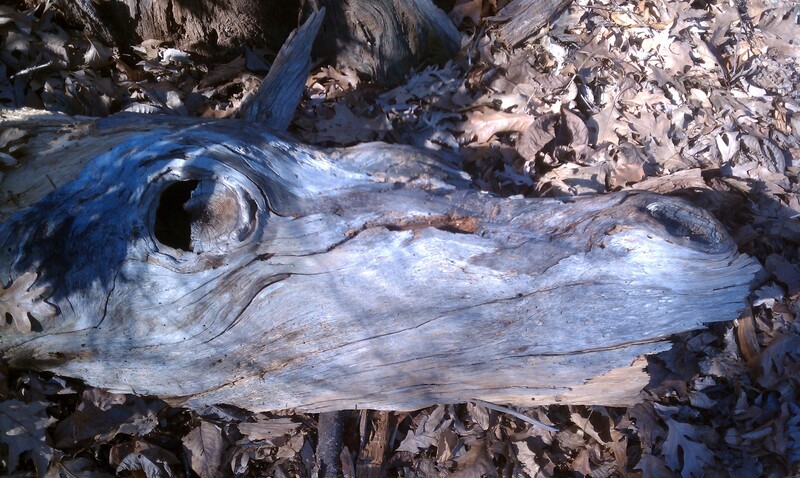 I also found some bark that with only a tiny rearranging, looked like a unicorn. So, what is the unicorn trying to tell me? That requires more thought. To me, the unicorn is the symbol of connection with natural magic. I have been disconnected from it for awhile now. It is a call to remind me that it is always there; I am the one who needs to work to connect back with it and my own natural magic. Thank you for the call. What does the unicorn mean to you?